If you're thinking about taking the relationship plunge and moving in with a partner, get ready for some next-level compromising. Boys and girls tend to grow up with different expectations of cleanliness. Society typically dictates that while boys play in the dirt and muck, girls are expected to keep their clothes clean and avoid filth. Although these norms are slowly falling out of favor, the stereotype remains somewhat true. These different expectations, locked in from years of societal modeling, can create a tense conflict when they come into contact with another—when boys and girls grow up to be men and women and decide to move in together, those different standards can lead to some pretty awkward situations. Even the happiest of couples experience growing pains when they start playing house. No matter how much a couple loves and cares for one another, they’re going to do some stuff that’ll annoy the heck out of each other. When Denise (whose name has been changed for this story) moved in with her boyfriend of two years, she prepared as well as she could, but she still managed to find herself unpleasantly surprised. While it’s a simple concept, not everyone grasps the purpose of the dirty laundry basket right away. You might be used to throwing your clothes into this receptacle as soon as they’re off your body, but the “let things pile up and see where this goes” types aren’t exactly rarities. This all comes down to each person’s cleaning style. Some people aren’t interested in worrying about keeping their bedrooms immaculately clean and uncluttered—who’s going to see it anyway? Others insist on putting all clean laundry away immediately and refuse to stomp over t-shirts and pants every day. It especially irks them when clothes pile up around the hamper—domestic wars have been started for less. I always thought living with my boyfriend was going to be like a fairytale but then I quickly realized it’s really just you sharing a bedroom with a dirty roommate who thinks you have to clean up after him! If your girlfriend or fiancée is a neat freak, you might need to prepare yourself for some laundry-day conflict. Or you could investigate the dirty clothes hamper. They’re actually pretty handy. There’s no space in the home more sacred than your very own bathroom. When you live alone, that is your sanctuary. You can take as much time as you want in there, be as messy as you’d like, and not worry about how your daily toiletries affect someone else’s morning. Taking the plunge and making the bathroom a shared space can be difficult, and these problems go way beyond the age-old fight over whether the toilet seat should be left up or down. “There’s nothing worse than going to wash your hands or brush your teeth and you look down to a sink full of beard hair. It’s so gross,” says Denise. Denise isn’t the only one who’s faced a struggle over beard bits. An anonymous Redbook reader wrote into the magazine’s “Dear Whys Guy” column all the way back in 2011, asking why exactly men insist on leaving behind shreds of scruff like so many flakes of pepper. The response? That’s like manufacturing a car and forgetting the seats, then trying to sell it anyway because it’s most of the way there. But that’s how some people think. Anyway, it’s not just beard bits that make the bathroom a primary battleground between men and women who live together. When you go to use the mirror, can you can barely see your face through the toothpaste splatters? Does your partner complain that the toilet needs a splash guard? If so, it’s time to talk about some expectations and maybe even make a cleaning schedule. As in all intra-couple disagreements, communication is key. When you find yourself constantly fighting about bathroom habits, talk to your partner and make some kind of plan to tackle these problems. If timing is an issue, make a morning schedule. If you can’t seem to agree on an acceptable level of cleanliness, talk about it and try to understand where the other person is coming from—and then create a fair and equitable cleaning policy. 3. No more space for anything ever. Asking your partner to move in with you is a big deal. You care about them so much that you want to fully integrate your lives—it would almost be romantic if it weren’t such a pain. Anyway, remember that when you’re angrily fighting about why your amazing VHS collection needs to stay, you still love this person—they just have different expectations (and tastes in movies). Boyfriend got upset last night cuz my stuff is all over the floor. I’m sorry I would love to clean it up but I have NO WHERE to put anything. I’m trying to find room in a house that has too much crap already. I downsize a lot since I moved. So it his turn. When one person moves into another’s already-lived-in space, things can get tricky. You might think you cleaned out enough drawers and shelves, but odds are, you did not. There’s never enough space to accommodate the entirety of another person’s life—especially when one of you refuses to get rid of anything. 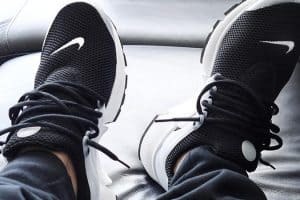 Sure, you might not totally understand why your partner wants to keep all their old high school t-shirts or their twelfth pair of shoes that looks just like every other pair. But those are their things, and they enjoy them, we guess. 4. Those dishes aren’t going to wash themselves. Kitchens easily become a cohabitation minefield. Between differences in diet, who ends up making dinner, and who gets stuck cleaning up, there are a lot of opportunities to pick a fight. This is similar to the laundry problem we mentioned earlier: If you’re used to leaving his dishes in the sink throughout the week, you’re probably not going to magically stop doing that when you start living together. The same can be said for eating habits. 5. Taking too long to do anything. You think women take forever to get ready? Ha. Nice try. Look at the primary example—getting ready to leave the house—and the data tells a different story. A YouGov poll sponsored by HuffPost found that an equal number of respondents—52 percent of men and 52 percent of women—said they spend between 10 and 30 minutes getting ready to leave the house in the morning. From trying to get out the door to meet with friends to simply cooking and eating dinner, men and women both may need extra time to accomplish these tasks. It just depends on the person. You’ve got to tap into a never-ending well of patience when you live with a partner. If you know your SO takes longer to get ready, maybe try and nudge them into motion a little earlier than normal. On the other hand, if they’re always rushing you, try to explain why things are taking so long. Just remember that you can’t solve this problem with eye rolls alone. Sometimes you might need to be the task manager, and sometimes they will. And sometimes they just have to leave you behind if you still, somehow, can’t be ready in time to get to work. Put the work in early to avoid future disasters. All of these things might be funny to talk about, but before you sign a lease, you better do some preliminary relationship work. The fact that your girlfriend is basically allergic to straggler socks on the floor isn’t something you should find out about for the first time after you move in together. Relationships take work, and cohabitation takes even more. When you’re even considering a shared living space, make sure you start talking about expectations and responsibilities right away. “As couples, there are some crucial conversations and agreements that if had before a deep commitment is made, would make the integration of two lives much more natural and long-lasting,” says licensed marriage and family therapist Merle Yost. When you have an open dialogue about any and all issues, you’re setting yourselves up to find solutions—not just bury the problems. That’s true whether the issue is beard bits in the sink or whether to have a child. Communication is key. As far as cohabiting goes, it’s also a good idea to know your partner’s financial situation, their planned career path, everyday habits, and time-management expectations before you make any big commitments. Just don’t forget: Dirty clothes go in the laundry basket.